S&W M&P1 Assisted Opener Plain. Matte Finish Blade. 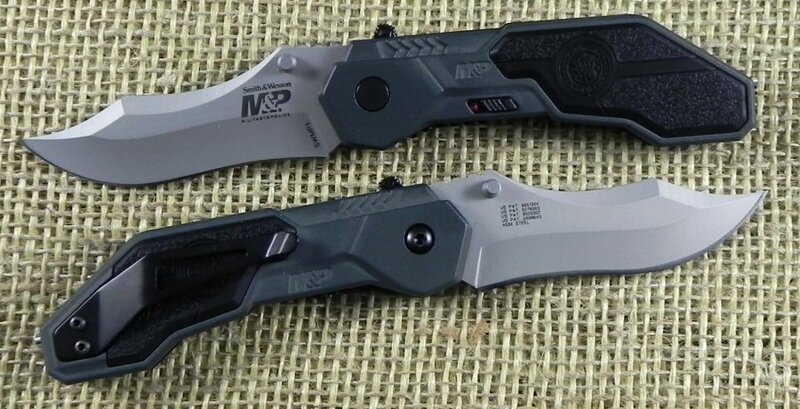 M&P (Military & Police) Linerlock. 4 1/4" closed linerlock. 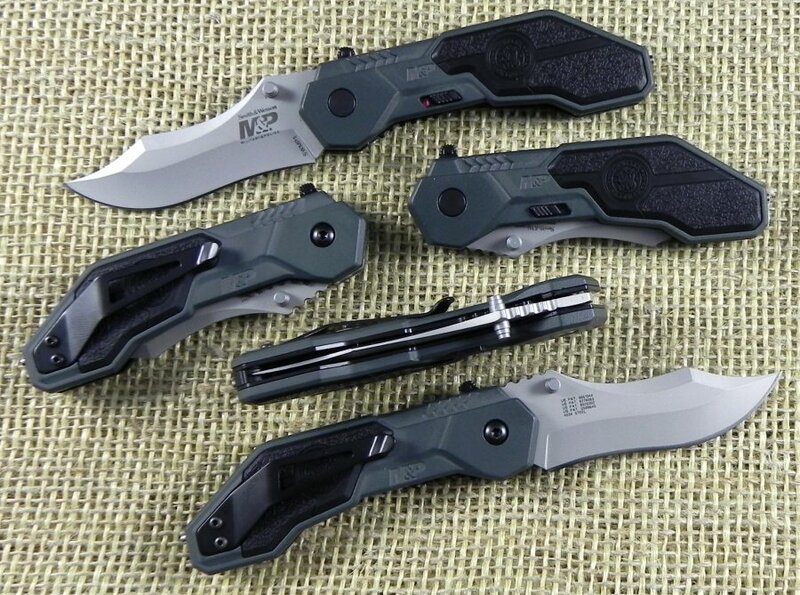 4034 stainless tactical style blade with dual thumb studs.Dark gray anodized aircraft aluminum handles with black rubberized inlay and integrated glass breaker. Black finish stainless pocket clip. M.A.G.I.C. assisted opening blade.